Vagabond Coffee posted this message to Facebook just before 8 in the morning: "So we have some bad news... Due to a random act of "kindness" we will not be open today for the rest of the week see you next week." Vagabond Coffee was unable to sell espresso, lattes and pourovers today thanks to overnight vandalism. 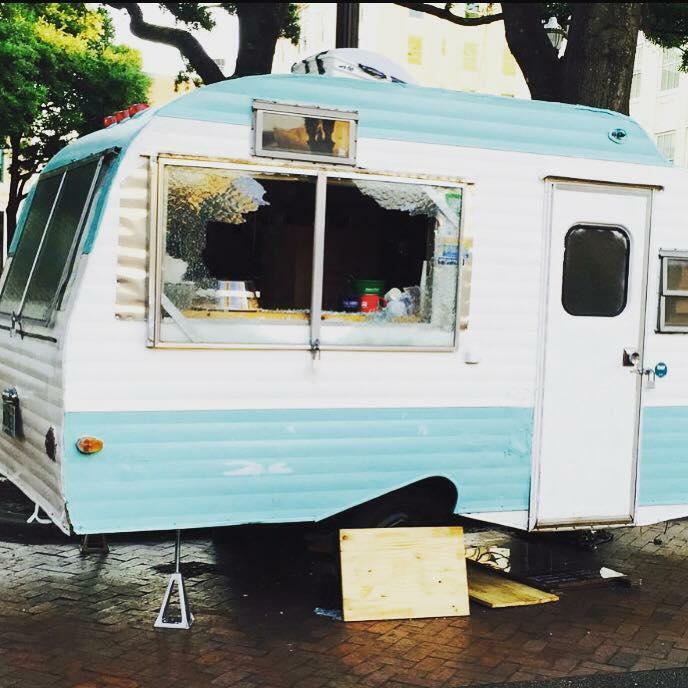 A coffee stand was broken into Thursday night in downtown Jacksonville’s Hemming Park. But Vagabond Coffee Company owner Will Morgan says the stand will come back better than ever. Morgan was notified about the break in around 7 a.m. Friday by a regular customer. He got the message on Facebook. The picture showed the vintage travel trailer that houses the business with its front window smashed in. Someone broke in and stole a small amount of cash. The trailer sits at the entrance to the park on the corner of Laura and Adams Streets. Chance Gerisch operates the Bono’s Bar-B-Q food truck in the park five days a week. But Morgan says he won’t be deterred. Morgan says he’ll make the window stronger this time around. And it looks like he’ll have the money to do it. A GoFundMe campaign was set up by Ian Mairs, a friend of Morgan, when he found out about the damage. The GoFundMe campaign had received 129 donations totalling $3,635 when this this article was published. 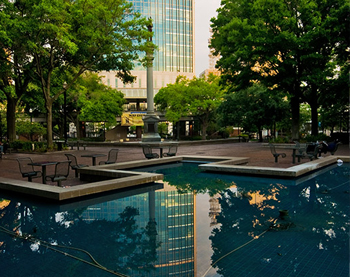 A major U.S. airline is giving $100,000 to promote a public space in downtown Jacksonville. 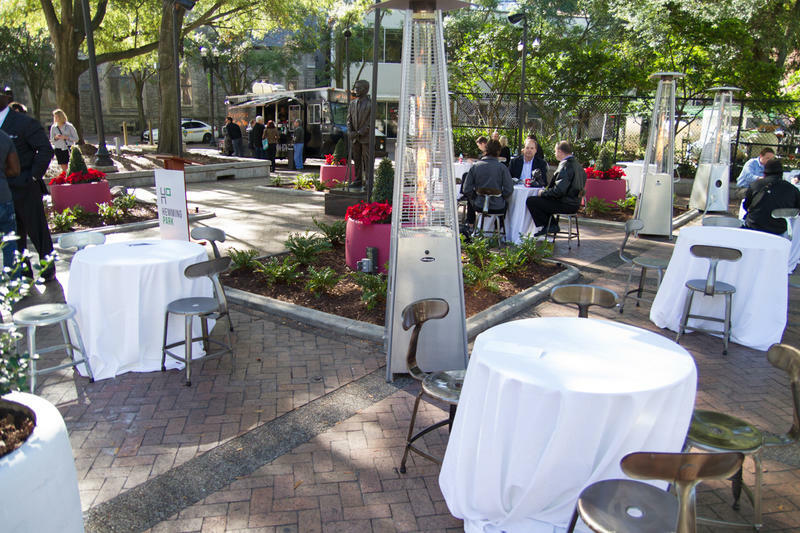 Southwest Airlines chose Hemming Park as one of six public spaces nationwide to receive the grant as part of the 2015 Heart of the Community Program — a partnership between the airline and the Project for Public Spaces. Hemming Park director Vince Cavin says he’ll seek input from the public on how to use the money. Updated 5:55 p.m., Sunday, March 22: GastroFest organizers estimate more than 30,000 people flocked to downtown Jacksonville for the first-ever local-food-centric GastroFest. The event ran until 10 p.m. Saturday. Throughout the day, long lines snaked away from the food-tasting tents set up on the edges of Hemming Park. With the Jacksonville city elections less than two weeks away, the issues affecting our community are on the forefront of many residents’ minds. TEDxJacksonville is hosting a conference this weekend at Hemming Park showing TED talks that highlight innovations and best practices to overcoming challenges like the ones faced in Jacksonville. At least one city councilwoman and five city council candidates will be in attendance.